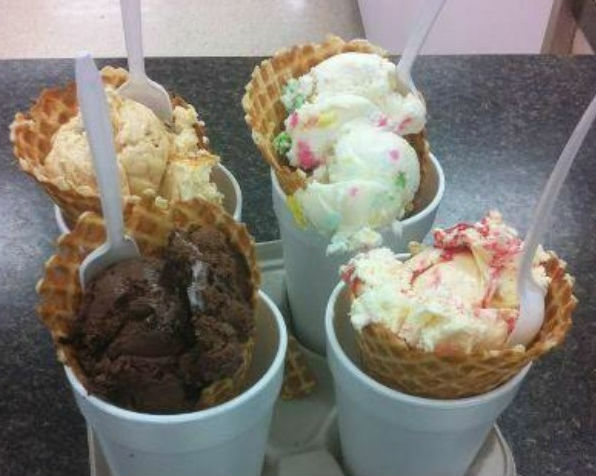 We have over 200 flavors of soft serve and more than 80 flavors of ice cream - which one will you choose? We offer classic hard ice cream, frozen yogurt, soft serve, lactose free and plenty of no-sugar-added options so there’s something for everyone! And don’t forget all the fresh fruit and 60 different toppings you can add to really make your treat something special. 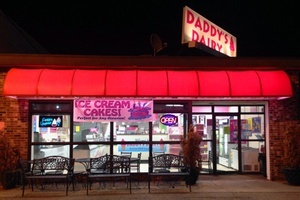 Daddy’s Dairy also carries fantastic ice cream cakes and pies, filled with the ice cream flavor of your choice. Great for special occasions like birthdays, anniversaries, or any old time! 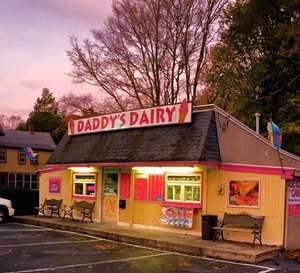 We are committed to serving the highest quality, freshest, and most reasonably priced ice cream products year round. 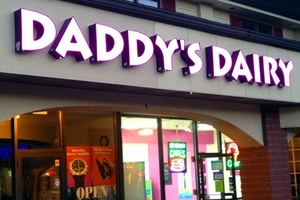 Visit any of our 3 great locations for a fun frozen treat! 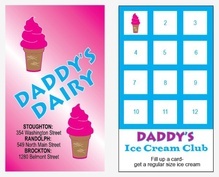 We also offer Rewards Cards and Gift Cards! 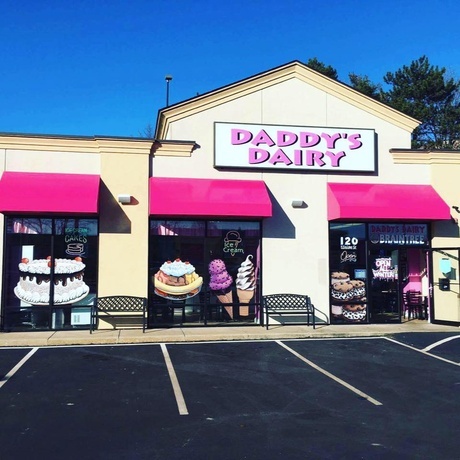 Come out to one of our 4 great locations for a delicious scoop (or a few) of our exciting flavors of ice cream, soft serve, and frozen yogurt!